Looking for a Unique Office Design? 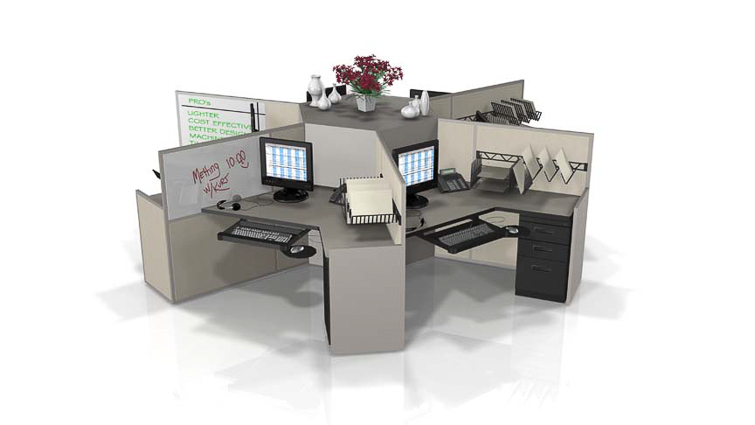 Check out Office Pods Furniture! If you’re looking for a unique design consider office pods, also known as cluster workstations or circular core stations. 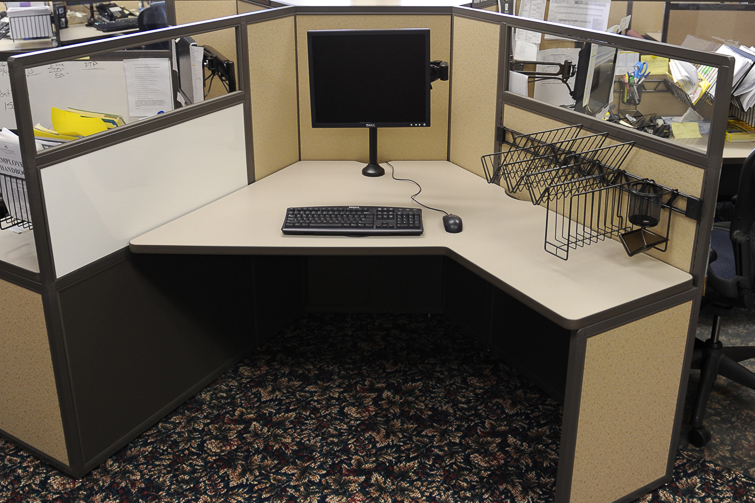 This design is configured so the user faces the center of the workstation. Unlike a typical straight run of stations, one person will not sit directly across from another person. 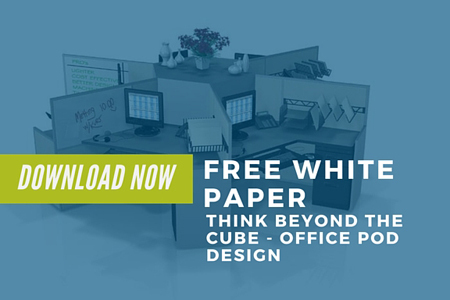 While a straight run of stations does offer the benefit of maximized floor space, a cluster or pod type workstation can allow more privacy for each person and more work surface space. Office pods offer many options in terms of storage accessories and design. A whiteboard panel can be incorporated into the workstation allowing agents a place to jot notes. A popular option is also incorporating paper management. This moves commonly used items off of the work surface and within easy reach. The six-person office pods shown have an approximate diameter of 12’4″.